Manufacturing processes are responsible for a considerable amount of global energy consumption and world CO2 emissions. Reducing energy consumption during manufacturing is considered one of the most important strategies in contributing to the green supply chain. In this context, the authors propose a new predictive-reactive approach to control energy consumption during manufacturing processes. In addition to forecasting the energy needs, the proposed approach controls the uncertainty of energy volatility and limits energy waste during manufacturing processes. With the integration of this economic-environmental manufacturing efficiency in supply chains, and controlling uncertainty, this approach positively contributes to green and agile supply chains. A multi-objective genetic algorithm (NSGA-2) is proposed as a predictive method, and a new reactive method is developed to dynamically control the energy consumption throughout the peak energy consumption in real time. The approach was tested on the AIP-PRIMECA benchmark, which reflects a real production cell. As stated by the United Nations, 40% growth in the world population is predicted by 2050. As a result, energy consumption (electricity and other resources) will double in the next 40 years and electricity use only, is forecasted to double in 18 years. In addition, to avoid serious climatic changes, climate specialists from the International Energy Agency1 estimated that it is crucial to reduce by half the carbon dioxide emissions. Since 1980, saving energy has attracted the attention of a very large number of researchers. All these studies found that energy efficiency is the widest and cheapest resource. However, interesting opportunities can be explored for energy efficiency. These opportunities reside in the supply chain for the industry, where energy is used to manufacture the parts and suppliers that go into the production of good. This applies to every single good in the market, whether those sold to consumers or production facilities. 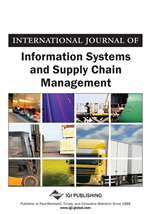 In fact, a supply chain management (SCM) “…is a network of facilities and distribution options that perform the functions of procurement of materials, transformation of these materials into the intermediate and finished products and the distribution of these finished products to customers…” (Rajesh, Pugazhendhi, & Ganesh, 2011). To illustrate our contribution for supply chain energy management, we focus on the auto parts manufacturing, which provides great energy savings, where suppliers sell parts to car manufacturers, assembling them into a final product. One of the well-known industrial models for parts manufacturing is the Job shop model. The considered Job shops are small manufacturing systems that handle job production, that is, custom/bespoke or semi-custom/bespoke manufacturing processes. Machines are aggregated in shops by the nature of skills and technological processes involved, each shop may contain different machines. Jobs aren’t necessarily constrained to a single machine which gives this production system processing flexibility. Machine-shop is a typical example of job shop, which may make parts for local industrial, farm machinery and implement, beats and ships, or even batches of specialized components for the aircraft industry. Grinding, honing, jig-boring, gear manufacturing are other types of common job shops. Job shops have many advantages: high expansion flexibility (machines are easily added or substituted, high flexibility in production engineering and high robustness to machine failure. However, scheduling of job shops is very hard due to high product variability and twisted production flow. One of the key sectors for major industrialized countries in the world is the global auto industry, thus, the complexity of the industry must be well-managed to generate profit. During the last 30 years, the production of vehicle components has been outsourced to suppliers (The processes of car manufacturing are distributed across a supply chain spanning multiple plants, companies, and even countries). Sometimes, hundreds of companies are involved in the supply components of a given vehicle, from pistons to windshield wipers. The overall business efficiency of building a car is impacted by each single supplier. The global automotive component market generates more than 1$ trillion in 2017, according to Global Industry Analysts2. This means that, to remain globally competitive, automotive manufacturers will have to reduce the energy consumed by their process, essentially, not just at their manufacturing facilities, but also at all their suppliers’ facilities. While the implementation of the predictive approach for part manufacturing processes reduces their energy consumption, the cumulative energy consumption of car manufacturer’s suppliers will be greatly reduced, which contributes limiting the overall cost of vehicle production. According to U.S. Department of Energy’s Argonne National Laboratory3, 10% energy saving per vehicle at the average production rate of 5 million cars per year, allows saving $236 million annually (Boville & Dussault, 2012).